At CURE’s Third Annual MPN Heroes celebration, “grace” was the word of the night. Jennifer Arnold, a physician and a star of TLC’s reality TV show “The Little Couple,” said she did her best to embody it when she was being treated for a rare cancer. And during the Heroes event last night, Arnold praised more than half a dozen award winners for demonstrating it through their efforts to improve the lives of people with rare blood disorders. 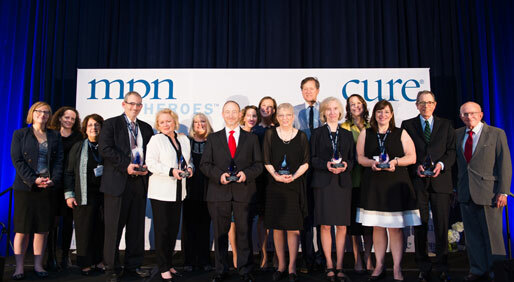 The seven individuals and one organization honored are patient advocates, clinicians, communicators and research catalysts who provide support and care for those with myeloproliferative neoplasms (MPNs), as well as research into new treatments — in many cases while their own lives are threatened by the conditions. Quoting the author Ernest Hemingway describing courage as grace under pressure, Arnold pointed out in her keynote address that the award winners share those qualities. The neonatologist at Texas Children’s Hospital, who stands 3 feet 2 inches tall, was born with a rare type of skeletal dysplasia, spondyloepiphyseal dysplasia type Strudwick. Her cancer, choriocarcinoma, was also rare. Four recipients from across the country were honored in the category of “commitment to the individual” — a physician, a nurse, a communicator/patient and a physician/researcher. Before they accepted their awards, the audience watched videos in which they discussed their work. David Allen Denny of Canton, Ohio, a patient with myelofibrosis and a pastor at a Baptist church, is a volunteer with two online support groups, the Myelofibrosis Private Support Group and MPNforum. He sends daily emails and messages of support to patients, comforting them and guiding them to proper medical resources, financial information, current studies and other educational materials. Rebecca Claassen of Westwood, Kansas, a nurse educator at the University of Kansas Cancer Center, was honored for bringing greater understanding of MPNs to the center’s nursing staff, resulting in a positive impact on the quality of care for patients. After having worked in a hematology ward, Claassen thought nurses throughout the facility needed to better understand what MPN patients were going through. But she said she didn’t believe she was a hero for accomplishing that. Jason Gotlib of Stanford, California, associate professor of medicine (hematology) at Stanford University Medical Center, is an international leader in MPN research. He is the principal investigator for a number of clinical trials in classic MPNs as well as for a database registry for MPN research that contains blood from affected patients, which may help answer scientists’ questions about how and why these diseases develop. Christopher P. Holroyde of Phoenixville, Pennsylvania, a specialist in hematology/oncology at the Phoenixville Cancer Center, was honored for consistently demonstrating patience and endurance in helping improve the lives of his patients. He balances a thorough explanation of MPN with compassionate care. A second group of recipients were honored for efforts that have had a significant impact on the broader MPN community. David Boule of Meredith, New Hampshire, a patient with an MPN and an advocate for patients like himself, has supported published research, international patient outreach and strategic planning for the MPN Research Foundation. In addition, he has helped distribute grant pledges in excess of $4 million for the Richard T. Silver, MD Myeloproliferative Neoplasm Center at Weill Cornell Medical College. Harvey Gould of San Francisco, California, received his award posthumously following a video that brought many in the audience to tears, in which his wife, Karen Duffy, and three daughters recalled the former trial attorney’s loving, bright, gregarious and funny nature. Gould was a strong patient advocate even while dealing with myelofibrosis, acute myeloid leukemia and subsequent allogeneic stem cell transplantation. A regular columnist for MPNforum, he had a devoted following of readers. He was recognized, too, for helping to advance the science of MPNs by advocating for free myelofibrosis genetic testing and studies offered by 23andMe. The aim of that work is both to be able to determine when someone is predisposed to developing an MPN, and to find biological targets that lead to new treatments. Susan Melvin Hill of Meridian, Idaho, transitioned from myelofibrosis patient to dedicated patient advocate after having what she described as “a temper tantrum” in her doctor’s office, frustrated after being consistently offered little information about, or treatment for, her disease. “I wanted another doctor, and I wanted to help other people,” she recalls. A former teacher, Hill accomplished her second goal by establishing Idaho’s first and only MPN support group, which she continues to run. She also mentors MPN patients in several states and is involved in many grassroots awareness activities, including organizing the annual Rare Disease Day at the Idaho State Capitol. The MPN Research Foundation (MPNRF), located in Chicago, Illinois, was honored for being one of the premier organizations reaching the entire MPN community of patients, caregivers and researchers. Its single goal is to stimulate original research in pursuit of new treatments — and eventually a cure — for MPNs. MPNRF recently created a framework to fund new investigators, and has given away more than $10 million for more than 50 international research projects. On hand to accept the award were Chairman of the Board of Directors Robert Rosen, a patient with polycythemia vera who founded the group; President Barbara Van Husen; and Executive Director Michelle Woehrle. The awards were given by mistress of ceremonies Kathy LaTour, CURE’s founder and one of the judges who selected the winners. Additional judges are listed at MPNHeroes.com. The celebration was made possible with support from Incyte Corporation, a Delaware-based biopharmaceutical company focused on oncology. Also supporting the event were CancerCare, Cancer Support Community, the Leukemia & Lymphoma Society, MPN Advocacy & Education International, the MPN Education Foundation, the MPN Research Foundation and the National Organization for Rare Disorders. In an effort to honor the four heroes recognized for their impact on the broader MPN community, and to further increase awareness, Incyte will make a $25,000 charitable donation per recipient to an organization engaged in MPN activities. 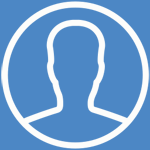 In addition, Incyte maintains an online Wall of Voices that recognizes MPN Heroes and the MPN community. For every post made on the Wall, Incyte will donate $5 to the MPN Research Foundation. For more information, visit VoicesofMPN.com. “The MPN Heroes event is a great opportunity for us to acknowledge the contributions and efforts of dedicated clinicians, patients-turned-advocates and a foundation dedicated to MPN research,” said Michael J. Hennessy Jr., president of Intellisphere Oncology and Healthcare Specialty Group, including the CURE Media Group. In her keynote address, Arnold discussed her childhood with skeletal dysplasia, a condition that led to 30 surgeries to ensure that she could stand straight, walk and breathe comfortably — and her admiration for her surgeon, Steven Kopits, which inspired her to become a pediatrician. Arnold also recounted the discovery of her cancer, which arose from an abnormal pregnancy at an inopportune time – when she, her husband and her recently adopted son were in India, preparing to bring home their newly adopted daughter. Bleeding heavily, Arnold left her family in India and returned to the United States, where her cancer, which was in stage 3 and had spread to her lungs, was diagnosed. She was treated with four months of chemotherapy and, when it wasn’t working well enough or quickly enough, a hysterectomy. “It was supposed to be the most amazing time of my life, but it turned out to be the most challenging,” she said. The experience brought gifts she didn’t anticipate, though. Unable to work because of the side effects of chemotherapy, Arnold was able to spend unexpected time bonding with her new family. Arnold said she helped herself through the cancer experience by holding onto her determination to overcome the disease through grace, and even encouraged herself by making an acronym out of the word. The first letter, “g,” stood for “go for it,” and in that vein, Arnold encouraged audience members to do their best to overcome hardships even when it seems impossible. As an example, she mentioned the nearly 30 medical school rejections that could have convinced her to give up her dream of becoming a doctor. She added that she never thought she’d find true love, but did after she and a friend pledged to try dating websites. Arnold joined DateaLittle.com, a site for single little people, and met the love of her life, her husband Bill Klein. “I learned, going through cancer and hardships growing up, to enjoy the life you have and go for it,” she said. Arnold added that, in going through a cancer journey, it’s important to accept help from others, use your energy on priorities, and, by all means, hold onto your sense of humor. Silas Inman, director of editorial and multimedia for the CURE Media Group, called the evening inspirational, and said that CURE was proud to host an event that honored above-and-beyond efforts to advance patient care. "Tonight is a truly inspirational evening, learning about the important work of the MPN Heroes and hearing Dr. Arnold’s keynote address,” he said. “We are inspired and grateful to this year’s MPN Heroes, who unselfishly and steadfastly serve the MPN community,” added Hervé Hoppenot, president and CEO of Incyte.